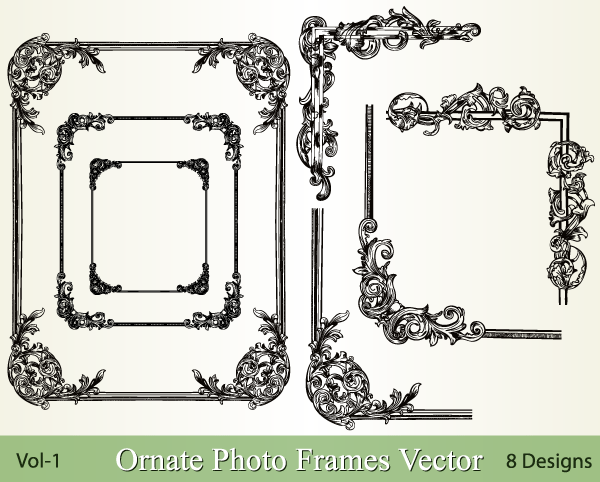 Set of 8 Ornate Vector Picture Frames and Borders Designs. This vector frame is beautiful with floral swirls and decorative corners for your photo, classic style and vintage designs. This decorative floral ornamental frame is available in EPS, Ai stock vector clip art - illustrations and Photoshop brushes with Png images.